Reading this book was quite the roller coaster ride for me. As a hypochondriac, I got scared at times. No, not just scared. Downright terrified to the point of paranoia. But I just couldn’t put the book down–it’s THAT GOOD. I finished Brain on Fire in less than a day, and in about two sittings. It is definitely a page turner. 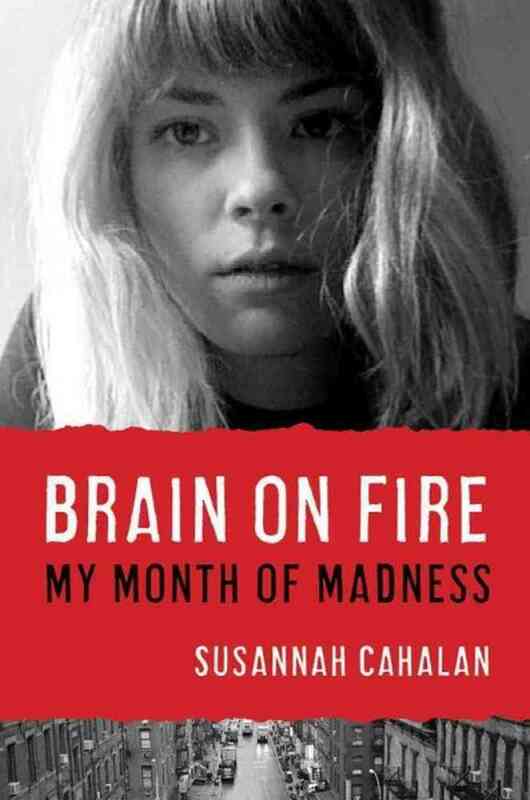 Susannah Cahalan, currently a reporter for the New York Post, writes with elegance and an endearing kind of formality as she recounts (or tries to) her “month of madness” as she calls it. During this life-changing month, she becomes afflicted with an extremely rare autoimmune disease that quickly and eerily transforms her entire self. Normally a bright, intelligent, and outgoing individual, the disease causes Susannah to become a manic, paranoid, and crazy person. Quite frankly, I loved Brain on Fire. Susannah’s story is not only alluring and filled with real life drama, but it is also informative and educational. I feel as if I learned quite a bit about the human brain from this book. There’s also a purpose behind this work–to spread awareness about a rare autoimmune disease that nearly landed a talented, young, up-and-coming young woman in an insane asylum. Permanently. Purchase Brain on Fire here! This gripping memoir will keep you page-turning and seated. Or standing. Or lying down. Or whatever. I highly recommend this read! If you've also read Brain On Fire, submit your rating below or leave a comment!